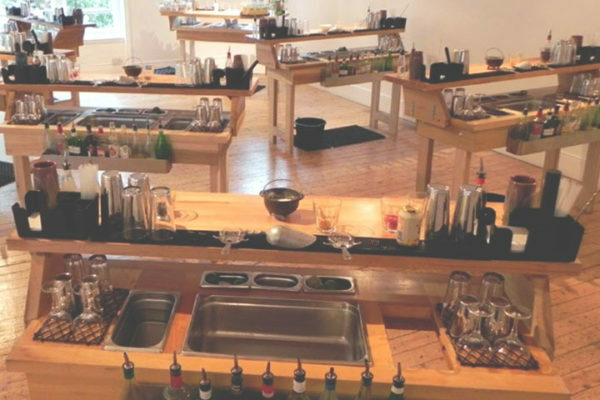 Mixology Events have been providing our fully-interactive cocktail making classes in effective, compelling, and – above all – enjoyable fashion for well over ten years, whether the venue is provided by you or by ourselves! Our sister company in Shoreditch, TT Liquor, constitutes our permanent home. 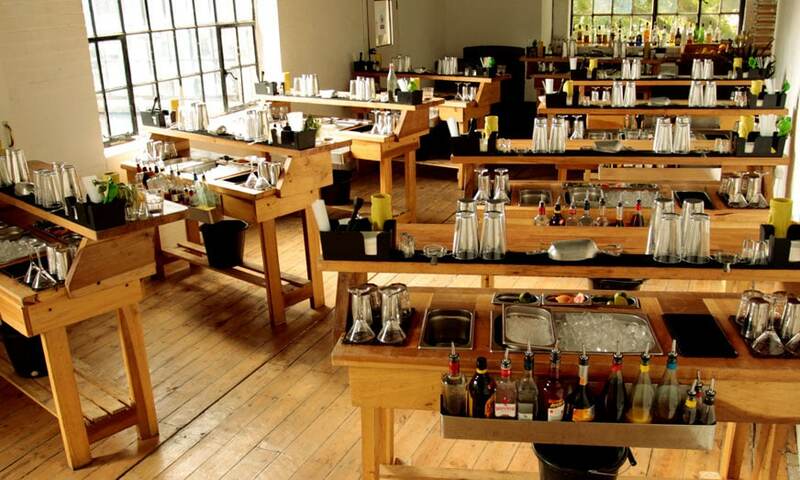 It’s a purpose-built cocktail making environment, inside which there are a range of fully-equipped masterclass lounges. We also enjoy close relationships with a range of dedicated partner venues spanning the length and breadth of the capital and beyond, at which we can professionally deliver every aspect of your event for you if you find yourselves unable to make it to our Shoreditch home. TT Liquor is our sister company on Shoreditch’s bustling Kingsland Road, and is a one-of-a-kind venue purpose built for our range of interactive cocktail making classes – the only one of its kind. 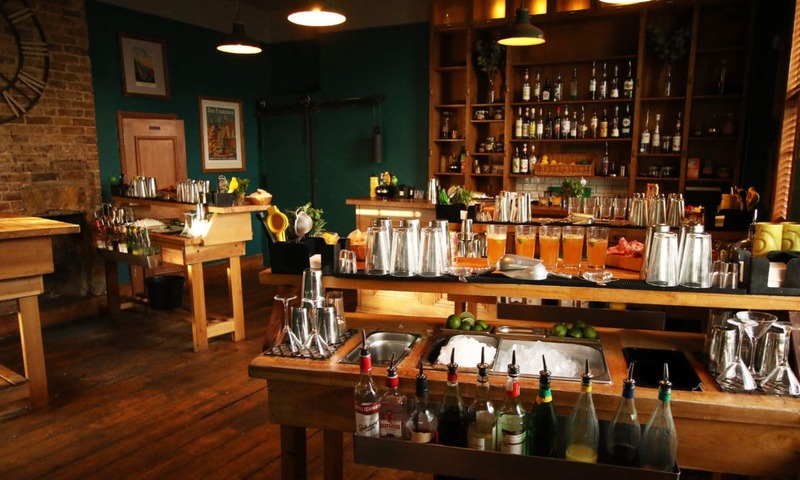 Mixology Events can host our hands-on cocktail making classes in Shoreditch’s distinctive Leonard Street Studios, with whom we’ve built up a strong working relationship over many years. 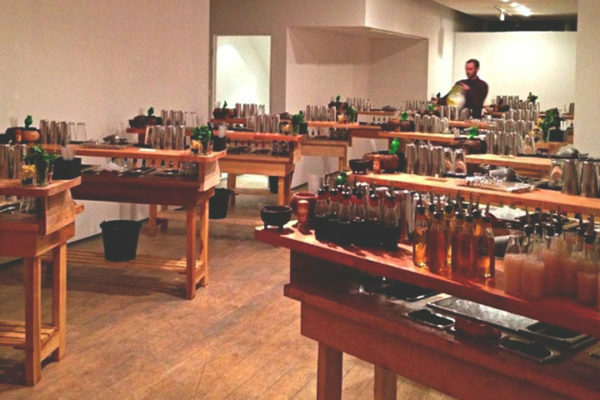 We can host our 100% interactive cocktail making classes in central London’s vibrant Fitzrovia district, thanks to our 7-year relationship with the team at The RH Gallery. 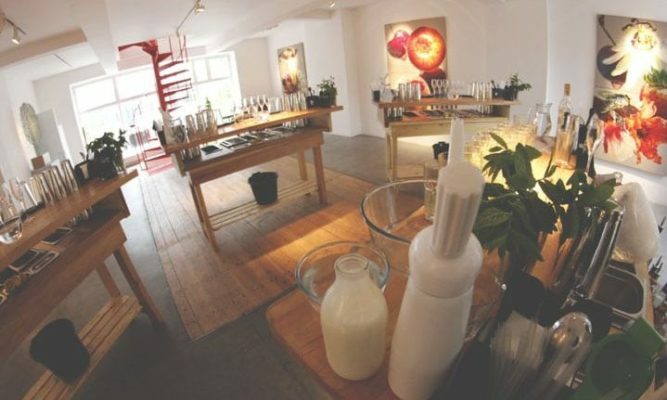 We have the ability to hold our 100% interactive cocktail making classes in Soho, central London’s colourful nightlife district, thanks to our relationship with the team at Gallery Soho. Over the years, we’ve endeavoured to perfect a style of work which allows us to professionally and efficiently build and put together evocative installations as well as creative thematic variations on our traditional masterclass formula, all the while maintaining our trademark consistency and involvement. In light of this, our mantra is often ‘the more interesting the space, the better’. We love to test ourselves, and we have developed a track record in delivering our masterclasses to a wide variety of locations, ranging from art galleries and gardens, to skyscrapers, castles, and hotels. We’ve even found ourselves suspended 100ft in the air! So if you have an idea – no matter how wild or fanciful – we’ll see what we can do to make it a reality. Got a location in mind already? We encourage you to give our dedicated events team a call on the number provided and they will happily talk you through some of the initial things to consider. 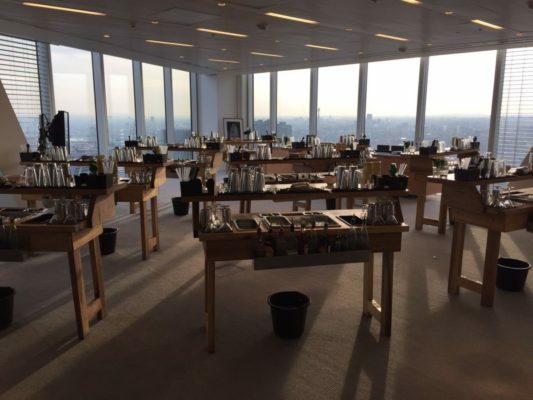 We love doing our mobile cocktail classes with a view – and what a view we had from The Broadgate Tower where we hosted law firm Reed Smith. 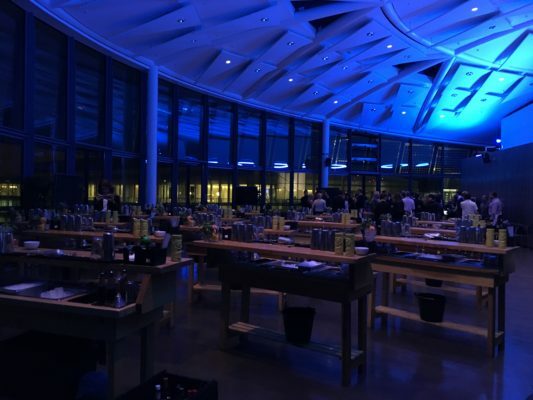 Mixology Events hosted one of our mobile cocktail classes and a cocktail bar hire at ‘London’s Living Room’ on the top floor of City Hall – home of the Mayor of London. 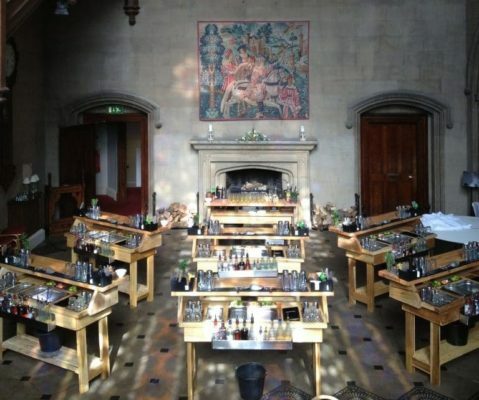 Mixology Events took one of our cocktail making classes all the way to Scotland as the finale of a corporate team-building weekend in an ancient gothic manor house. 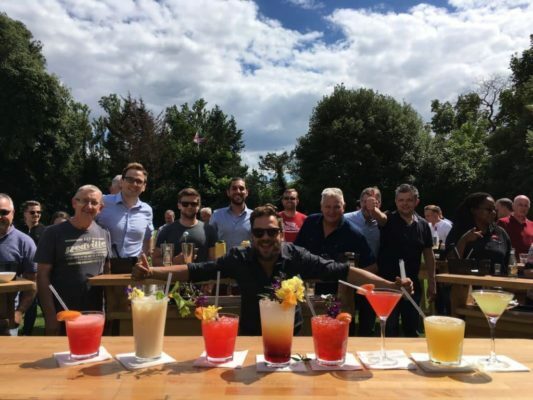 Mixology Events worked with the global consumer goods firm Procter & Gamble to provide an outdoor take on one of our cocktail making classes, hosted in the verdant gardens of the Park Inn Hotel in Thurrock, Essex.